Need to create a PC for an upcoming game? We've got some ideas for you! Use these characters as is or as a starting point for your own concept. Last update: December 1, 2018. Inspired by the 2e Bard kit, the Gallant. He wanders the land on the wings of romance and true love, stealing the hearts of the young and lightening the spirits of the elderly. Grappler build with both hands free, which means it can grapple two foes at once. A fluffy build for a Cormyrean campaign, designed for both adventuring and court intrigue. This is a simple, straightforward Strength-based Ranger build that uses the traditional two-weapon fighting style. This build centers around the good-aligned fey witch concept, utilizing the Druid and the Warlock classes' connection with the faerie. It is a spellcasting-focused build that can fill various support roles—healer, buffer, controller and party face. This character is an adaptation of the 3.5 prestige class Fist of the Forest—a Strength Monk build with a few levels of Barbarian thrown in. This is a Spore Druid build with a twist—a few added levels of Fiend Warlock with Zuggtmoy, the Demon Queen of Fungi, as its patron. This character was inspired by “Fungoid Cave-Shaman Snazzgar Stinkmullett” from Warhammer: Age of Sigmar. The character is primarily a Shadow Magic Sorcerer that focuses on stealth and mobility but with a spell selection that is rather unsubtle when it comes to dealing large amounts of area damage. This character also takes advantage of the Hexbade Warlock's ability to use Charisma for its weapon attacks. This build attempts to recreate the Black Flame Zealots, unholy assassins who killed in the name of Kossuth, the Lord of Fire. The Order of the Dark Moon is Shar's personal black ops team. They are rigorously trained from childhood in both sorcery and martial arts, and only the best survive to adulthood to become an instrument of darkness and loss. Primarily a hybrid tank/DPS build, this character combines the Way of the Kensei Monk and the Hunter Ranger to create a sticky but mobile defender capable of engaging multiple close targets (inspired by the manga/anime Rorouni Kenshin). The ubiquitous Dex-based Bear Totem Barbarian build, refluffed to create an approximation of a fantasy Amazon warrior. Primarily a support Cleric build, this character attempts to cover all aspects of spellcasting by adding Druid cantrips and high-level Wizard spells. 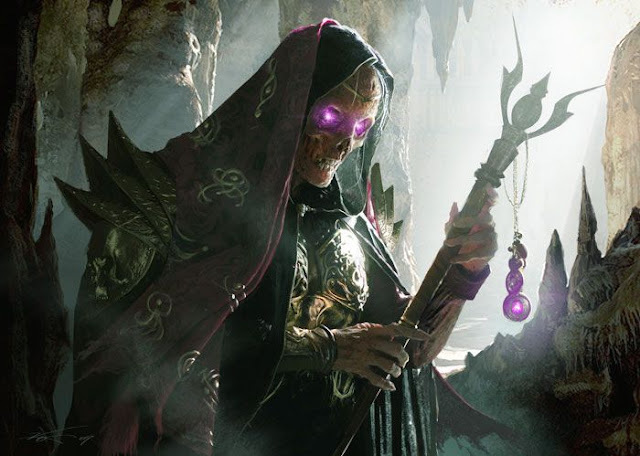 An Arcane Trickster build for campaigns big on courtly intrigue. This character is a typical defender build that combines the use of a reach weapon with the Polearm Master and Sentinel feats to create a sticky tank, except that it doesn't rely on forged armor for protection. This build is, in my opinion, the only valid instance (from a roleplaying standpoint) where the Hexblade Warlock could be combined with the Paladin class—an avenger in the Raven Queen's service. 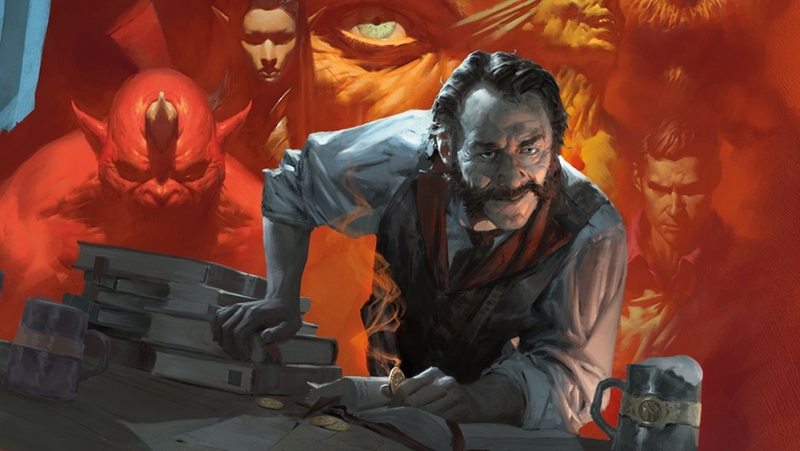 This character is an attempt at a Sorcerer gish build that avoids the usual Paladin or Warlock multiclass combination. It instead uses the Ranger as its base warrior class, with cleric spells via the Divine Soul Sorcerer subclass to enhance its melee capabilities. This build attempts to approximate the previous editions' take on the Eilistraeean Sword Dancer, a female drow divine spellcaster who wields a heavy sword and often wears no armor. The Bard/Ranger is a fairly popular multiclass combination in the the Forgotten Realms setting. This build attempts to optimize the combo by maintaining the Bard’s full spellcasting progression (albeit a bit delayed) and both classes’ penchant for swashbuckling combat despite its MAD-ness. This is the PC version of the hobgoblin Iron Shadow, an assassin/inquisitor for the legion. It uses a balanced mix of Arcane Trickster Rogue and Way of the Shadow Monk. This character isn't the most optimized Battlerager build nor is it the most optimized grappler build, but THE most optimized Battlerager build that specializes in grappling. 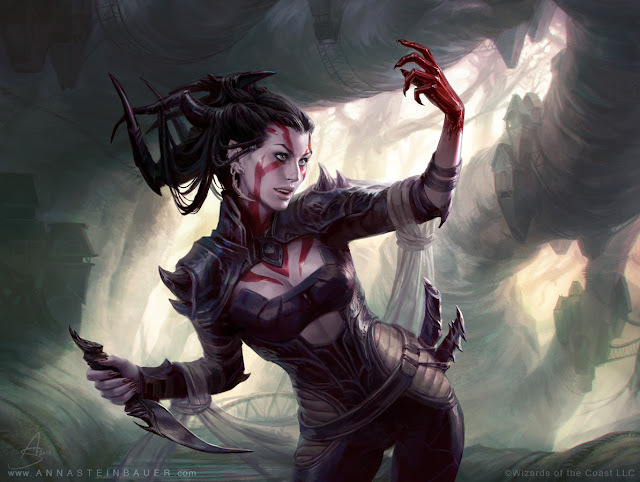 A sinister build for those who want to play a character with her own evil agenda but still recognizes the importance of playing nice with others. This is primarily a party face/ striker/lurker Warlock build with a few levels of Bard. While its spell selection is ineffective to give it the support role, it's at least capable of handing out bardic inspiration a few times per day.